friends do more to keep me happy. 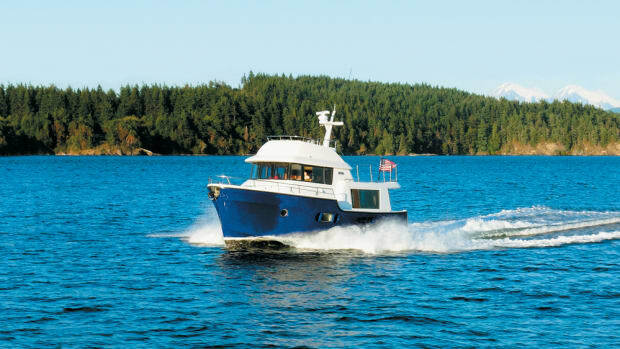 the combination of people, weather, and a favorite cruising area: the San Juan Islands of northwest Washington State. and other metro areas head toward the islands. temperature to a little over 60°. Just right. cruising Europe on their boat. Karel and M&apos;Joung ordered their 34 with a white hull. yard, and her owners would step aboard the next day. 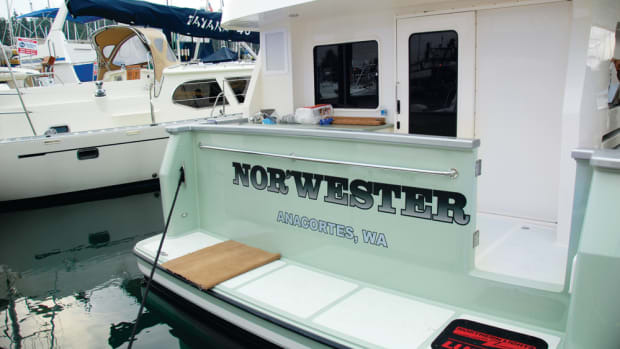 guides for the West Coast and the Inside Passage. other boats ever since. I am always ready for the islands. of 45 feet 6 inches. while under way at 12 knots, I longed for one. platform for dinghy boarding or swimming. boaters; another grabrail near the top would help. 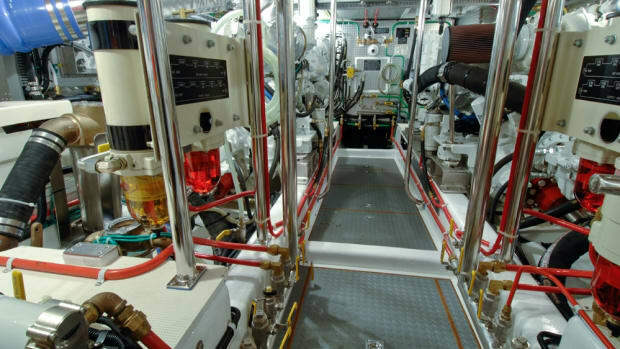 helm area is a boat deck and dinghy hoist. Sante Marina to join us, and our fleet turned north. Our destination was Sucia Island, a state marine park. beach, and dramatic sandstone monoliths line the shore. with space for about four boats, and two mooring buoys. refuge. Hiking is good on Matia, too. of unusually sculpted sandstone rock along the shore. soft rock in dramatic whirls and curls and scoops. Spanish: not many pronounce the name properly. increasingly difficult to find, and its price has soared. some woods come from plantations. around in the pilothouse. I would stick with a single. the master stateroom and head. think of an item, it&apos;s probably on the list. that I bet will become an option on future boats. a freezer with similar dimensions be installed in that space. English Rose is the 24th hull in the 41 line. 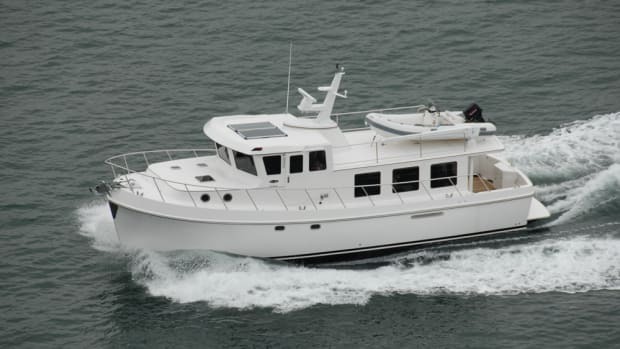 Only two of the 24 were ordered and delivered as "standard" boats. 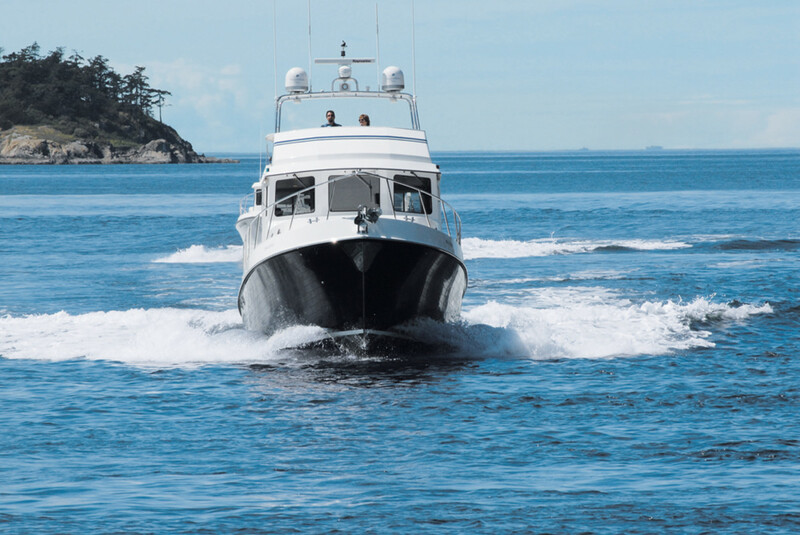 increase in the price of the boat. its 32-, 37-, 42-, and 52-foot models. and all match AT quality. takes a lot to contain the roar. not intrusive, annoying, or tiring. engine noise, but we could still converse in normal tones. efficient; that&apos;s my idea of a good boat. having to crouch and squint. have boated inland waters from Kentucky to Arizona. only a few miles from the AT factory in La Conner. fit for us," Jim says. years in the Northwest. Then they will head east. "We will try to cover Alaska to Maine if we can,"